This entry was posted on July 1, 2018 by Brandon. Yellow gold jewelry looks nice on anyone, but is particularly beautiful when contrasted with olive and darker skin tones. There is also a sense of purity and excellence to yellow gold. After all, yellow is the natural color of gold and is associated with trophies, medals and other symbolic accomplishments. When you think of achievement, it is almost always associated with yellow gold. Clean Origin carries many of its signature styles in the brilliance of yellow gold, adding a dash of shine to your golden moments. Available with a number of different center stones, the Symphony Ring features 14 gemstones amid this classic and dignified design. 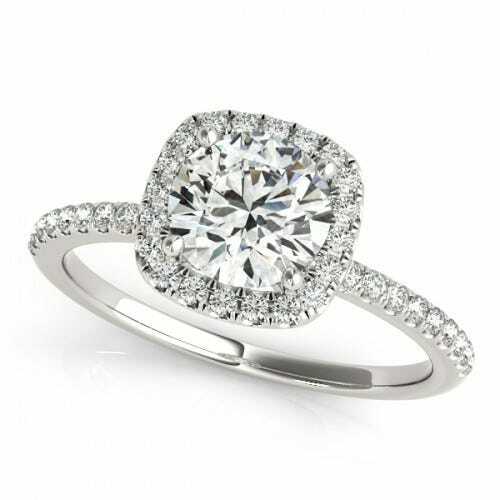 Pardon our opinion, but we believe this marvelous ring is even more beautiful than the bridge its named after. 16 gemstones adorn this beauty, which is actually gold colored instead of that woeful orange. One of our best sellers. The Tapered Solitaire Ring in yellow gold is the perfect blend of traditional elegance and dignified beauty. Featuring 64 glittering gemstones, the Braided Halo Ring in yellow gold wraps around one’s finger like an olive wreath. It screams “Goddess” for those who sport it. The golden moon carries a number of different symbolic meanings from purity to unification. Our MoonBeam ring features 34 adorning gemstones that give it its unique shine. This post has been provided by Clean Origin, curators of 100% lab-created diamonds. 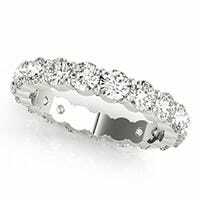 We bring our customers exceptional, high-quality jewelry for any momentous occasion. Our team of experts has been in the industry for three generations, providing superior quality settings and diamonds for a fraction of the price. Clean Origin offers concierge service and a 100-day money back guarantee to back all of its fine jewelry. We’d be honored if you made us part of your life’s journey.